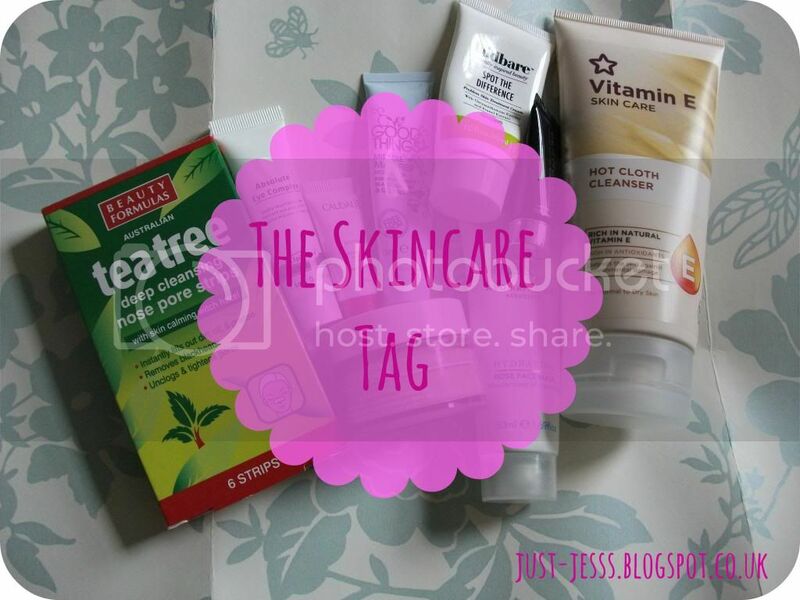 Kat from Tales of a Pale Face posted this tag a few weeks back and I've been meaning to do it ever since, as I'm a total skincare obsessive! This was really fun to answer so do feel free to help yourself if you'd like to complete it, although I'm sure Kat would appreciate it if you could link back to her post, too. Cleanse, moisturise, weekly mask, sleep. Contrary. My skin is really oily, to the point where even with powder I look shiny within an hour, but I also get dry patches and my eczema means my skin is sensitive to certain ingredients, too. Tough question! I don't know if I can choose just one favourite, but I think I'm going to go for my Botanics Hot Cloth Cleansing Balm as it seems to agree with my skin really well and is a good price, too. Tea tree oil and plenty of water. Nay. No no no. I don't even own them! Even after a night out I'll cleanse my face properly. I just don't feel clean after using a face wipe, they just shift things around on your face. Blergh. I have to agree with Kat here; if I could afford to invest in one, it would be skincare, as healthy, well-looked-after skin will need less make-up or even look nice without make-up. There's only so much even good make-up can do for bad skin! What's the most unusual skincare product you've ever tried? I have no idea! I'd probably pick something with pretty packaging or an intriguing name, let's be honest. Drink plenty of water, exercise regularly and get enough sleep; as the largest organ in your body, your skin needs looking after and mine is always better when I'm healthy on the inside! You also feel much better when you look after yourself. A close second is wearing sunscreen - noone wants to end up looking like Madge! Are you a skincare junkie like me? Do you like reading tag posts like these? Please let me know if you answer these questions! I always love seeing what other people use as their skincare - it seems everyone has such different routines as to what works for them! Couldn't agree more on the face wipes, makes me feel sick thinking about all the years I relied on them and also often went to bed in my makeup if I'd been out..so wrong! Never again. Hope you had anice weekend lovely. Great post! Loved it. Couldn't agree more with the drink loads of water, it's my answer to everything skin related when my friends ask why I never break out!